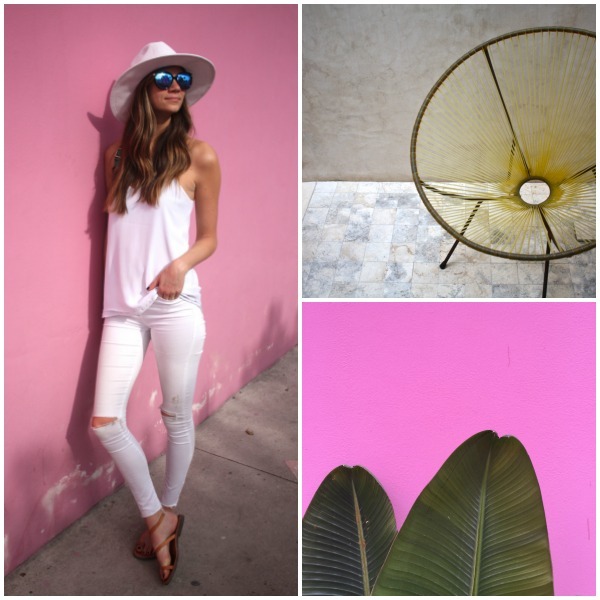 Spring is the perfect time to refresh - and not just your wardrobe. For me, it means coming out of hibernation and organizing all areas of my life - from my closet to my business (and everything in between - health, exercise, spring cleaning, etc.). My first area to refresh? This blog. You may have noticed some new changes here at The Closet Confessional, which admittedly, were way overdo. I started this blog in 2012 and haven't updated or changed a thing since. What can I say, change is hard. What are you hoping to refresh this spring? 1. 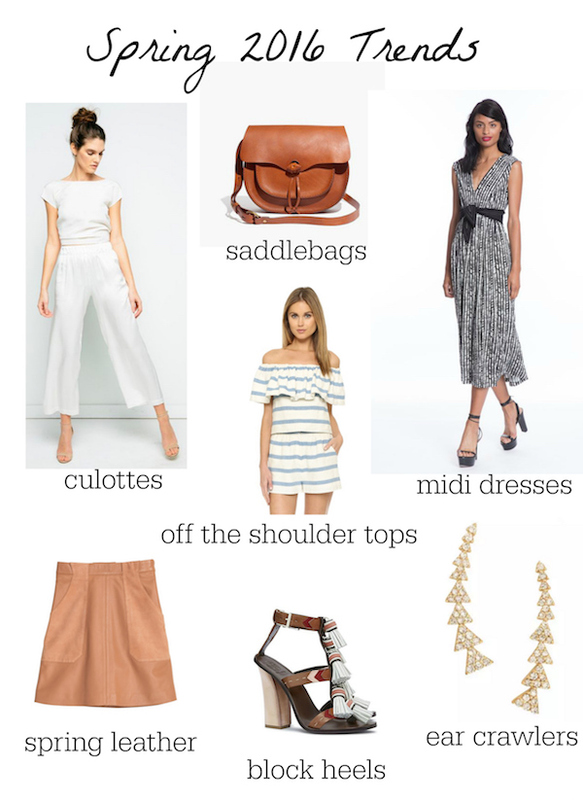 Culottes: I've talked about culottes before and I know they have a bad rep. But they remain a hot trend and I am in love with this sleek white pair. 2. Saddlebags: The ultimate cool girl bag, the saddlebag is both practical and chic. 3. 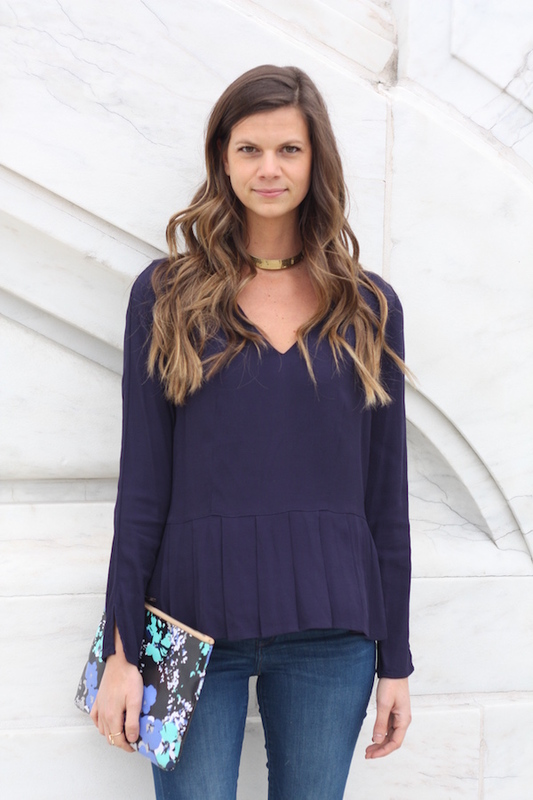 Off the Shoulder Tops: As summer approaches, you'll be seeing this silhouette everywhere. Find one wear the sleeves don't overwhelm your shape. 4. Midi Dresses: I'm a huge fan of midi dress trend, which is still going strong from the past several seasons. Carefree and sophisticated, it's easy to look pulled together in this dress. 5. Spring Leather: It's time to lighten up your leather this spring. Trade in your classic black leather for shades of tan, cream, and blush. 6. 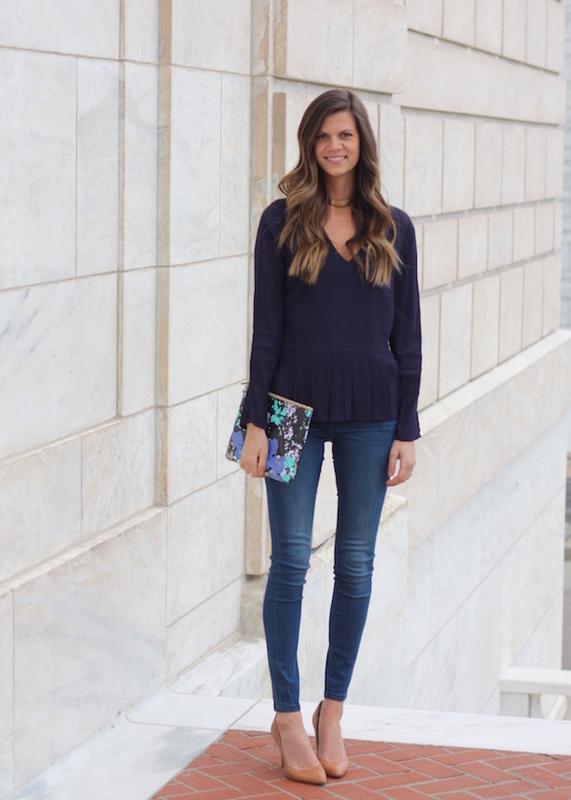 Block Heels: People seem to have mixed feelings about the block heel, but I am in love. Paired with a flowy midi dress, I feel like a 70s goddess when I wear mine. Plus, they are way more comfortable and practical for pouncing around a city than stilettos. 7. Ear Crawlers: As someone who has considered piercing holes up and down my ears, I love the ear crawler because it gives a similar look of multiple holes but none of the pain. What trends will you be trying out this season? We’ve all been there. Even I’ve been there (probably more than I’d like to admit). It’s incredibly frustrating because I know I have clothes. And I know I have outfits - even outfits I like. But eventually, we all fall into a rut where we are wearing the same outfits over and over again. And we get bored. And that boredom leads to bad habits. 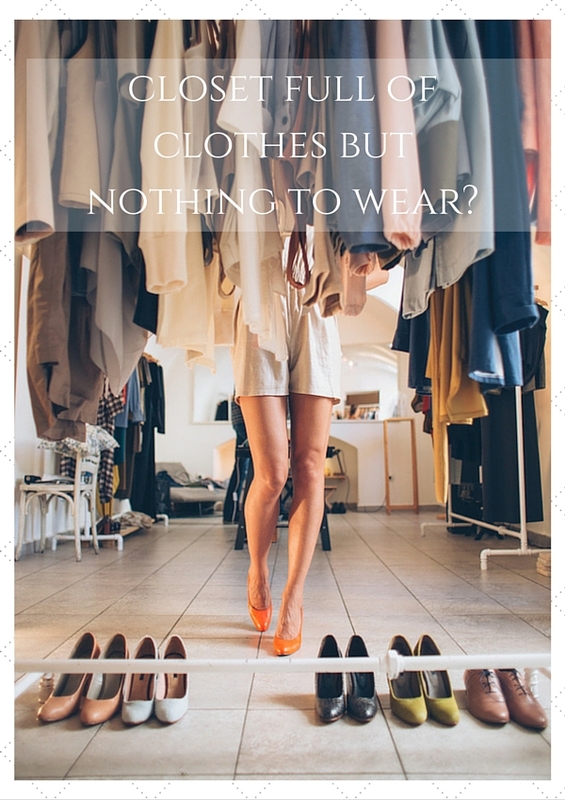 Habits like resenting your closet and buying more clothes. Clothes you probably don’t need. It’s called planning. Outfit planning specifically. 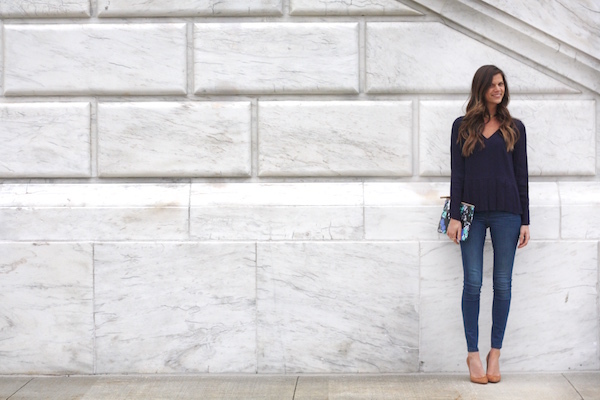 Just like meal planning, outfit planning is designating a chunk of time to, well, plan your outfits in advance. It should be. But the reality is, most of us don’t take the time to do that, inevitably leaving you - once again - frustrated and bored with your closet. Outfit planning is something you get with most of my packages, but now I'm offering this service solo to anyone who is interested. With this service, I’ll go into your closet and spend several hours creating 50+ outfits out of items you already own. The best part? You don’t even have to be there. I’ll take photos of every single outfit and leave you with a digital lookbook of each look. You'll be left with an effortless experience that will add new life to your closet and make getting dressed as easy as pulling up your outfits on your phone, tablet, or computer. 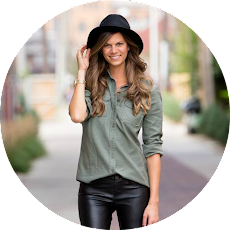 This is a great service for someone who has a closet full of clothes, but feels stuck in a style rut. If you go for the same outfit combination day after day, this will renew your wardrobe without spending a dime on additional clothes. 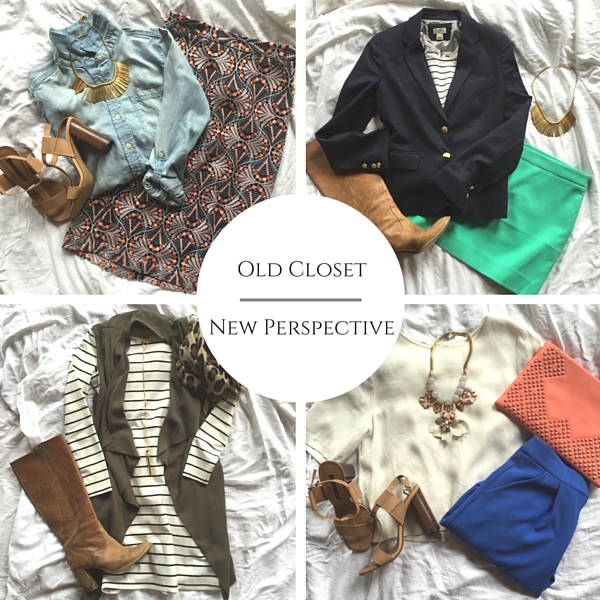 Feel like you have outgrown your closet or need additional help with organization or fit? Upgrade to a Capsule Styling service. I've decided to lay low this year for St. Patrick's Day. This past weekend was the Detroit St. Patty's Day parade and instead of venturing out into the madness of an all day party, I stayed home for a gloriously low key and lazy weekend - and I plan to do the same tomorrow. Maybe I'm getting old. Maybe I'm just exhausted. But this year, I'm sitting the holiday out. But in order to avoid being a total grinch, I've added a pop of green to my otherwise neutral outfit with this bright bag. I may not be in the mood for celebrating, but I'm also not one to buck tradition. Call me superstitious, but I need no bad luck this year. And speaking of luck, can we talk about this dress for a second? This was one of those incredible clearance finds from TJ Maxx. Originally over $500, I managed to find this A.L.C. dress on super clearance for $50. Talk about luck of the Irish. 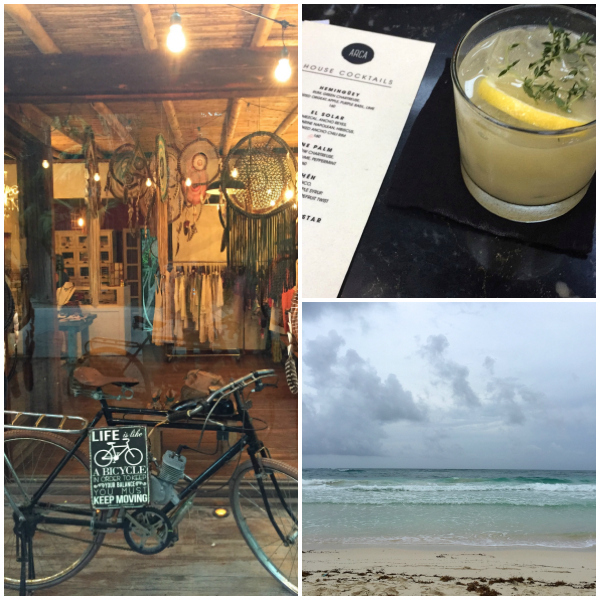 Our third and final stop on our Yucatán roadtrip was Tulum (see part 1 and part 2). I wanted to spend the last half of our trip here so we could just relax and escape the hustle of the larger cities. 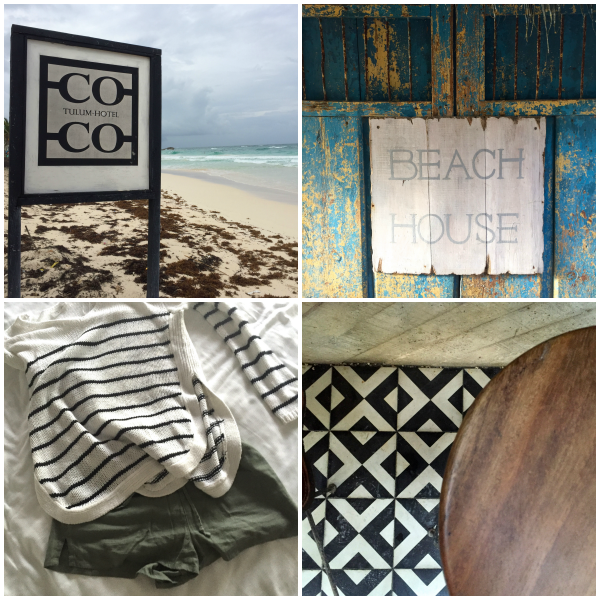 Tulum is a design nerd's dream. Every restaurant, hotel, and shop is artfully done. Four days wasn't nearly enough time to explore every nook and cranny, but it was the perfect way to end our vacation. 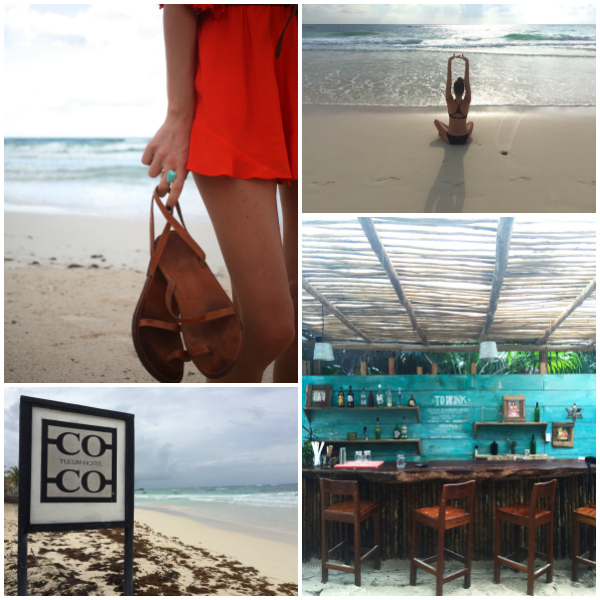 - We stayed at Coco Tulum, where we had our own little beachside bungalow. Amenities are pretty sparse (but who needs amenities when you have the beach outside your door), and the bathrooms are communal, so if sharing a bathroom is not your thing, you should probably look elsewhere. 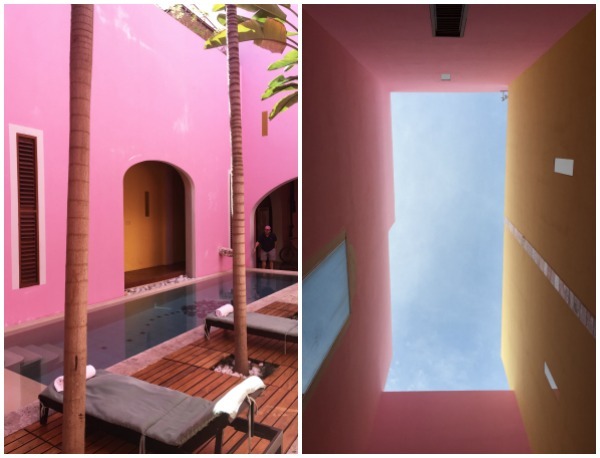 - I looked into staying at Coqui Coqui, a perfumery/small boutique hotel, but they were unfortunately booked. The design of the space is minimalistic and beautiful, so be sure to check out the property and perfumery even if you decide not to stay here. - Everywhere! Seriously, all the restaurants we ate at were amazing. Fresh food, homemade cocktails. 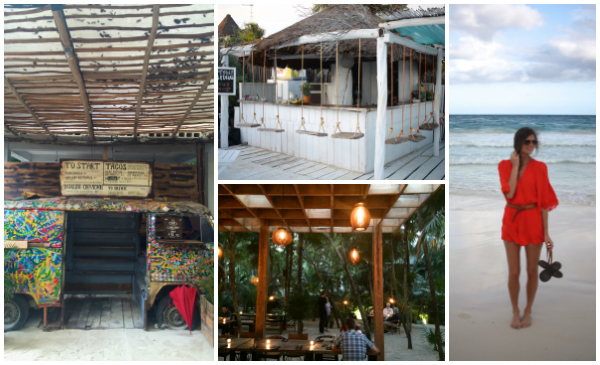 incredible ambiance - you really can't go wrong in Tulum. - That being said, our favorite place for drinks was at ARCA and our favorite meal was the Argentinian steakhouse, Casa Banana. - If you're looking to be on the beach, we had a great experience at Las Estrellas, which was a short walk down the beach from our hotel. 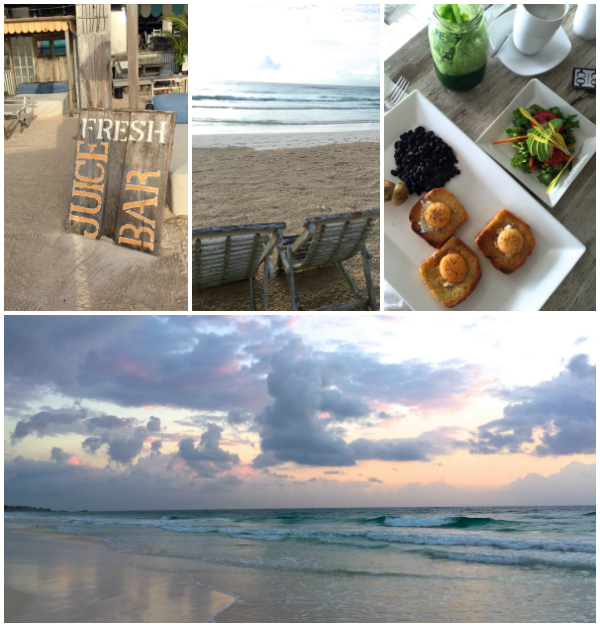 - Posada Margherita was an amazing beachside breakfast spot. Fresh juice is pretty easy to find in Tulum, but the portions were massive here. - Hartwood is the restaurant that we repeatedly read about. Every single review said to go here. But unless you show up before they open their doors, you won't get a reservation. Honestly, with all the other incredible meals we had, I don't really feel like we missed out. - Nothing. 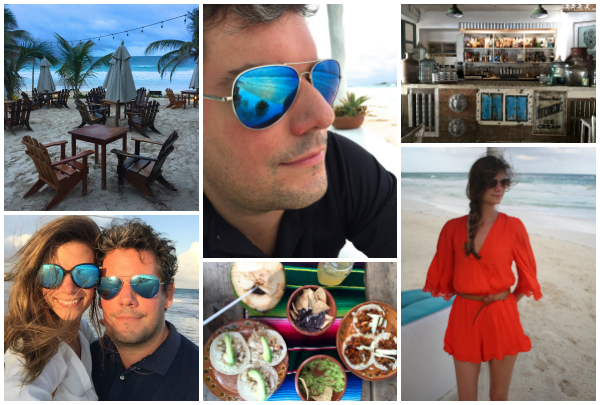 Not to say there isn't plenty to do - everything from kite surfer to exploring the ruins and cenotes, but we enjoyed having no agenda or schedule. We played a lot of cards, walked the beach, and ate fantastic meals. 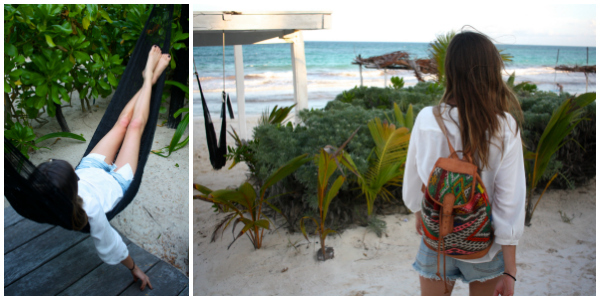 - If you are hoping to be more active, check out the Tulum ruins, which are cliffside and overlooking the coast. 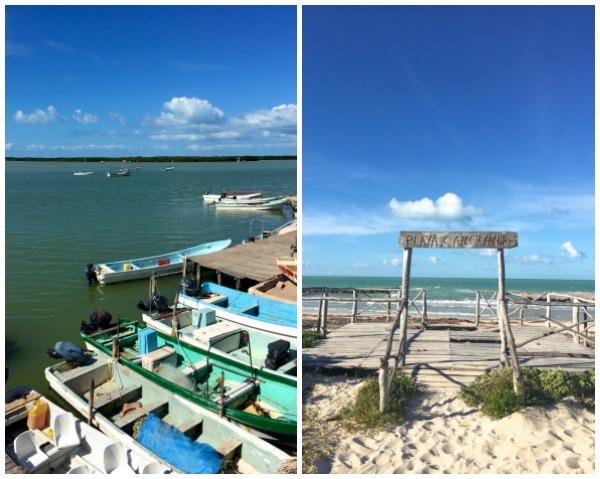 - The Sian Ka'an biosphere reserve is just south of Tulum and great for bird watching, kayaking, or generally exploring nature. - Shop! 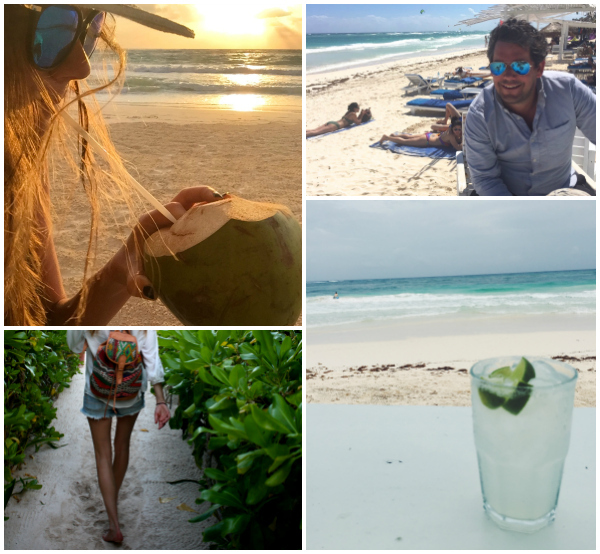 Like the rest of Tulum. the design of the open air shops in town are on point. The quality of the shopping - although limited - was amazing, but expect to pay more. 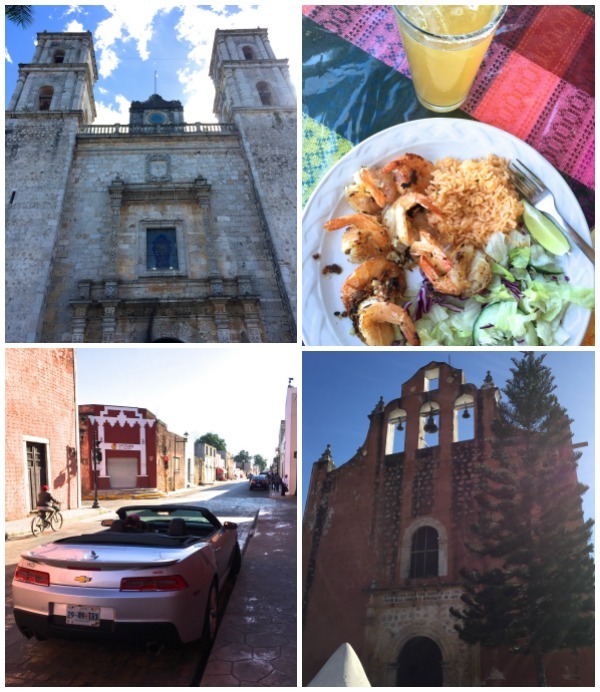 The next stop on our Mexican road trip was Mérida (catch our first stop here). 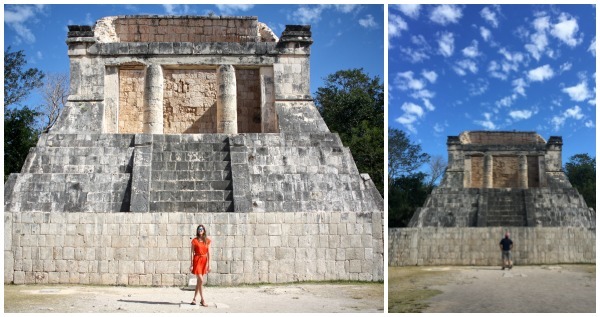 On our way into town, we stopped at the most famous Mayan ruin in the Yucatán, Chichen Itza. 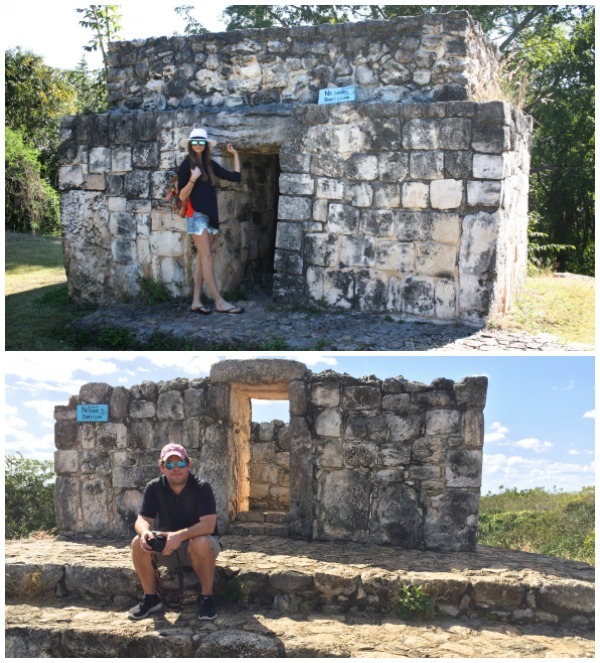 Named one of the new seven wonders of the world, the scale of the ruins is quite impressive, but both B and I preferred the quieter and more intimate Ek' Balam. 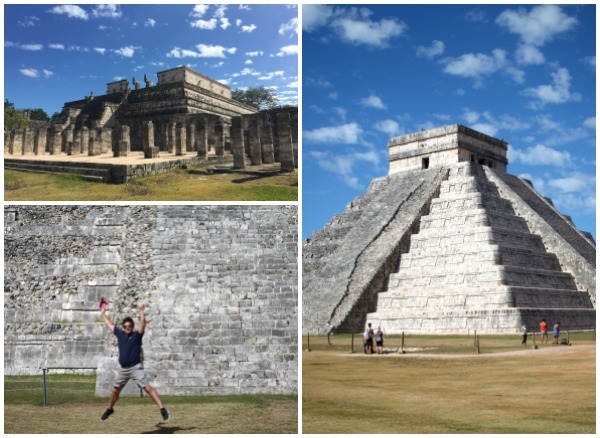 Showing up at Chichen Itza was a little bit like showing up at Disney Land. Tour buses crowded the parking lot and vendors lined the walkways of the ruins - and we beat the rush by showing up at 8:30am. Still worth the visit - especially since it was on our way to Mérida - just be prepared for a crowd. The actual city of Mérida was a dream. A colorful city, full of historic architecture and culture. Great food, great music, great streets for strolling. We only spent a couple days here and didn't have any set agenda, but thoroughly enjoyed wandering to discover the city's gems. - Rosas y Xocolate was one of my favorite hotels I've stayed in. Aside from the fact that everything is pink and they specialize in chocolate, the best part of the hotel was the private outdoor bathtubs so you can bathe under the stars. - Rosas y Xocolate was rated one of the best restaurants in the city and lucky for us, was steps away from our room. For a more romantic setting, request a table in the courtyard. To be where all the action is, sit out on the patio over looking the street. - I honestly don't remember the names of the other places we ate - we tend to just stumble to places that look good and usually get pretty lucky. We really didn't have a bad culinary experience in Mérida. - Wherever you end up eating, try the cochinita pibil (slow marinated pork), the local dish of the Yucatán. It comes in all sorts of varieties and is always made a little differently, but I am still craving the cochinita pibil tacos. - Plan to be in town on a Sunday. The city shuts down several of the streets surrounding the main plaza and fills the square with street vendors and live music for one big party. 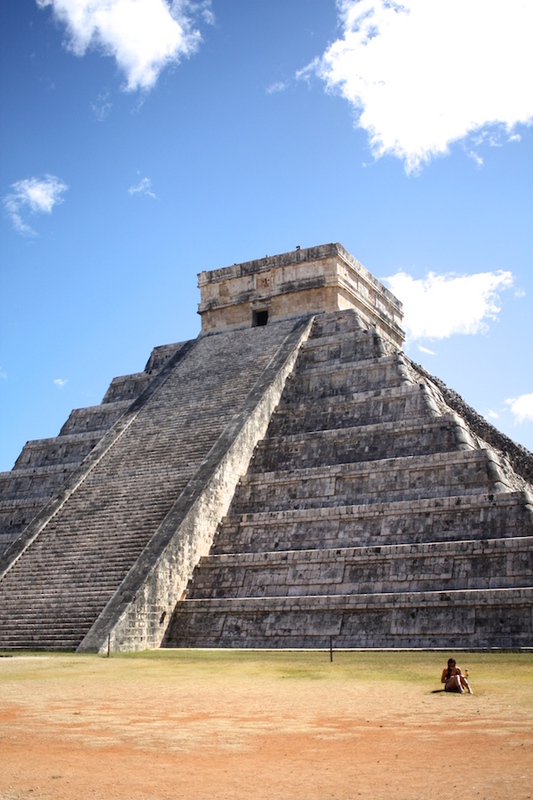 - Check out Chichen Itza or some of the other lesser known Mayan ruins in the area. There are quite a few. - Skip the taxi and grab a horse and buggy to transport you around town. - If horses aren't your thing, rent a bike. And if you like your biking to be a community experience, join in for La Bici Ruta, the Sunday ritual where several of the main streets close down and bikers gather for a slow roll style stroll. - If you want to take a day trip for some non-resort beach towns, it's only about a 30 minute ride to the coast. - Rent a Camaro convertible. Sounds lovely in theory, but the chances of you being confused for drug dealers and pulled over at a police check point and asked to exit your car while 4 officers with rifles thoroughly search your entire car and all your belongings is high. - See above's "What not to Do." 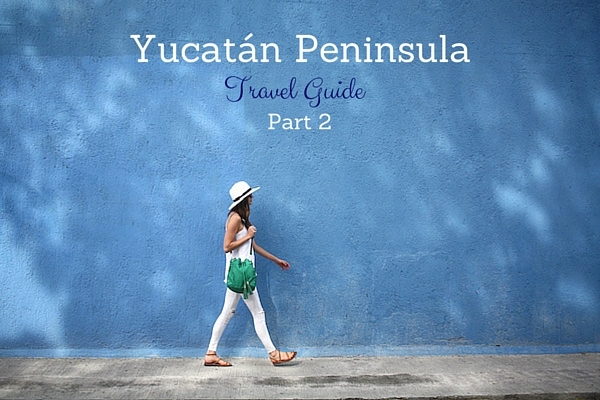 Recently B and I took a 10 day vacation where we roadtripped around the Yucatán Peninsula. 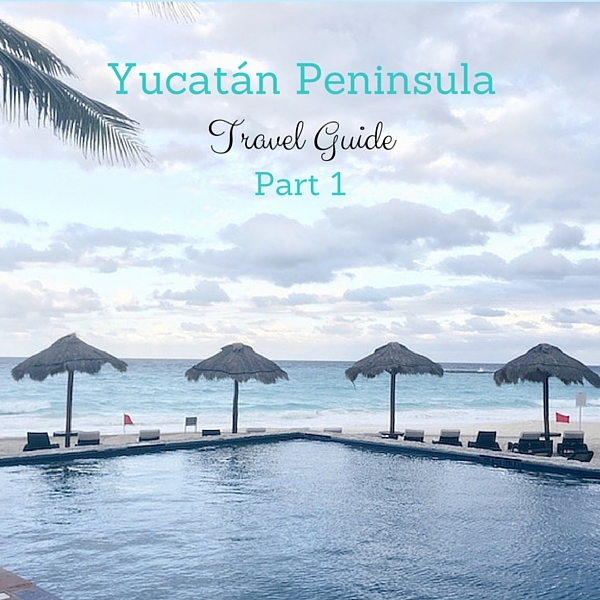 When it comes to vacations, I'm a type A planner and B likes to show up and see what happens. To me, planning the trip intensifies my excitement, giving me something to look forward to in the weeks leading up to the vacation. For him, it's a bundle of over planning stress. In order to satisfy both our needs, B gave me full reign of the entire vacation planning, meaning he had no idea where we were going or what we were doing until we showed up at the airport. For this trip, I wanted a mix of adventure and relaxation and I wanted to stay under our agreed upon budget. 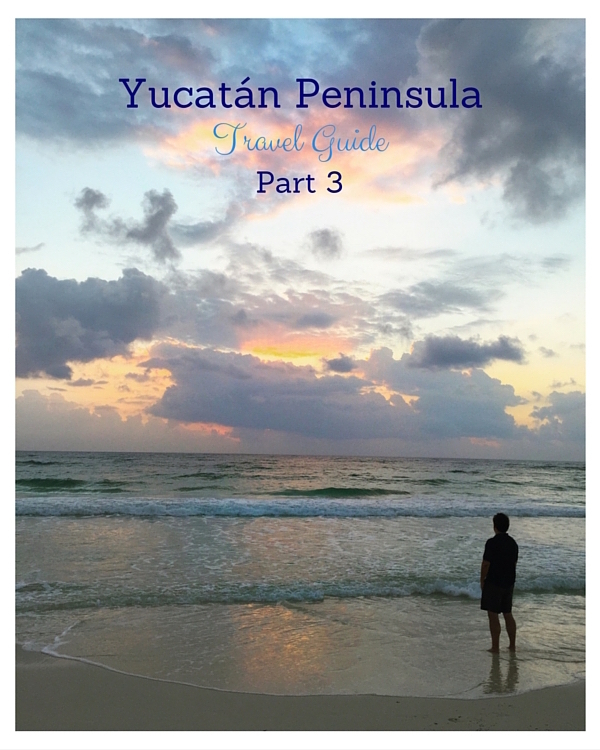 After researching several other locations, I ultimately landed on a road trip through the Yucatan for a perfect mix of unknown adventure, history, culture, and beaches. 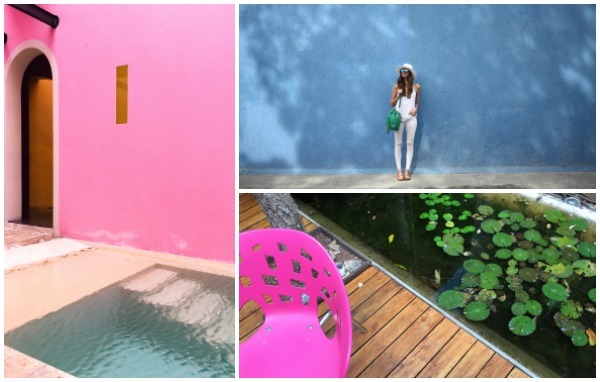 After a one night stay in Cancun, we headed to Valladolid. Lots of people love Cancun. I am not one of those people. So we chose to stay near the airport and on the beach at the Westin. We had a great room that walked out to the ocean and were able to avoid the craziness of the downtown center. We are not typically resort people (often preferring off the beaten path locations and accommodations), but after a day of traveling it was really nice to enjoy a bit of luxury at the Westin. After a good night's rest, we got up and began our road trip, heading to Valladolid. I knew very little about this town, beside it being close to several of the ruins and cenotes. There's not a ton to do in this historic town, but it's a great central location to explore the surrounding attractions. We also enjoyed a lazy afternoon stumbling upon the town's cenote (cenote Zaci - literally in the middle of town) and searching for the perfect tacos. - El Mason de Marques is where we stayed and had a great experience. It's right in the middle of town, which is great starting off point for exploring. - Hotel Zentik Project is where I originally planned to stay. It is outside of town (so having a car would be helpful if you stay there), but the place looks amazing and sits on top of an underground pool cave. - We had an amazing dinner in the outdoor courtyard of our hotel, El Mason de Marques. The food is great and the atmosphere is romantic. - La Cantina is a great little casual restaurant on the plaza. Perfect for afternoon tacos and beers. - Conato 1910 is an Italian/Mexican fusion restaurant with lots of vegetarian and vegan options. The place doesn't look like much, but the food was fantastic. 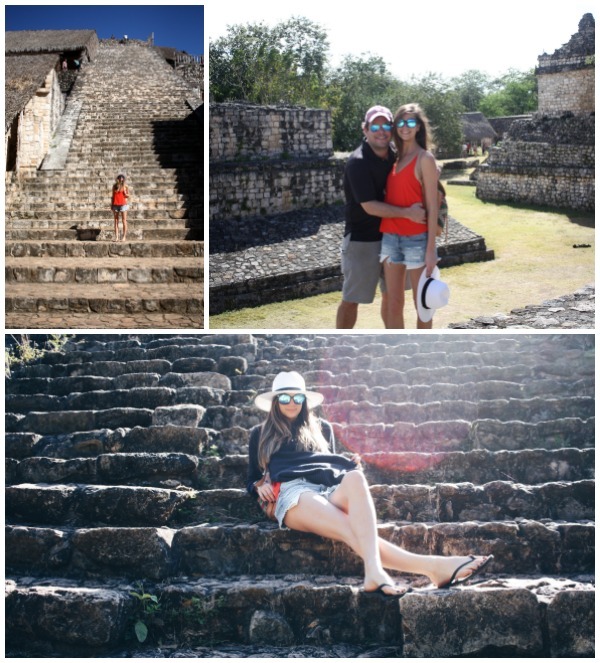 - Check out the Mayan ruins. Ek' Balam was appealing because it's one of the few ruins you can climb on and really explore. It also is less known and had very few tourists (compared to other ruins which were overrun with tour buses full of people. More on that in the next post.). - Swim in the cenotes. These underground caves are amazing. Go early when no one else is there so you have the place to yourself. We went to the cenote near Ek' Balam and it was totally abandoned (it's a mile and a half walk to get there which seemed to deter other visitors). - Take a road trip to the northern coast. 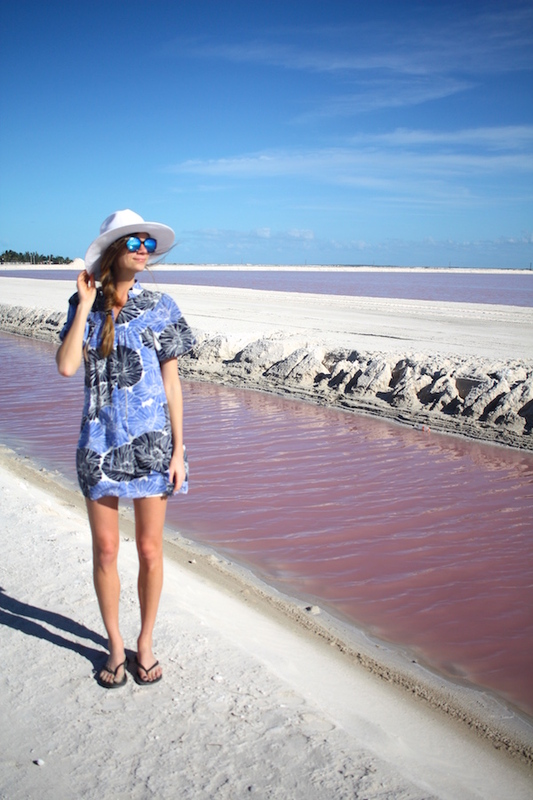 See the flamingos in Ria Lagartos. Bring cash! There are no ATMS in town (or anywhere nearby) and the boat rides to the lagoon are cash only. We learned this the hard way and made the drive without enough money to actually see the flamingos. All was not lost though. We had an amazing lunch of fresh seafood overlooking the water at Ria Maya. 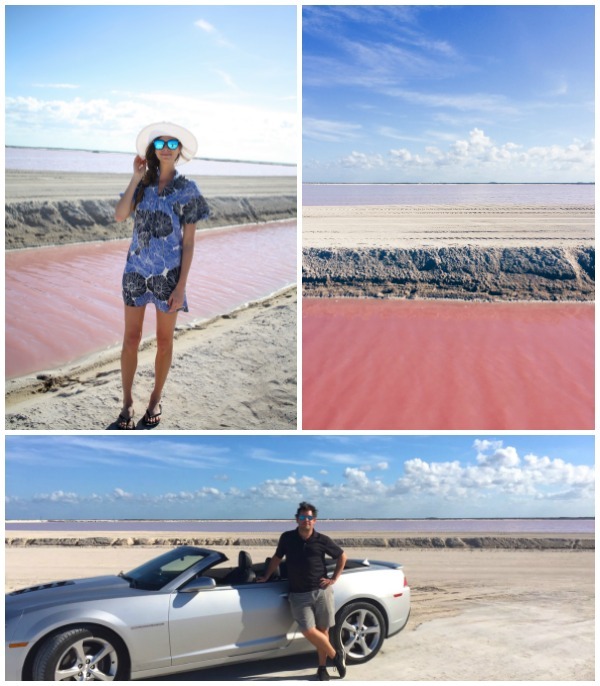 - If you go up to the northern coast, head east and check out the salt mines and pink lagoon. It's pretty much in the middle of nowhere, but it's a beautiful drive and seeing the water turn pink from the salt mines is fascinating. - If you rent a beater convertible and the rental company offers to upgrade you for free to a Camaro, politely decline (unless you like lots of attention). - Keep a bathing suit in your car as you travel around. 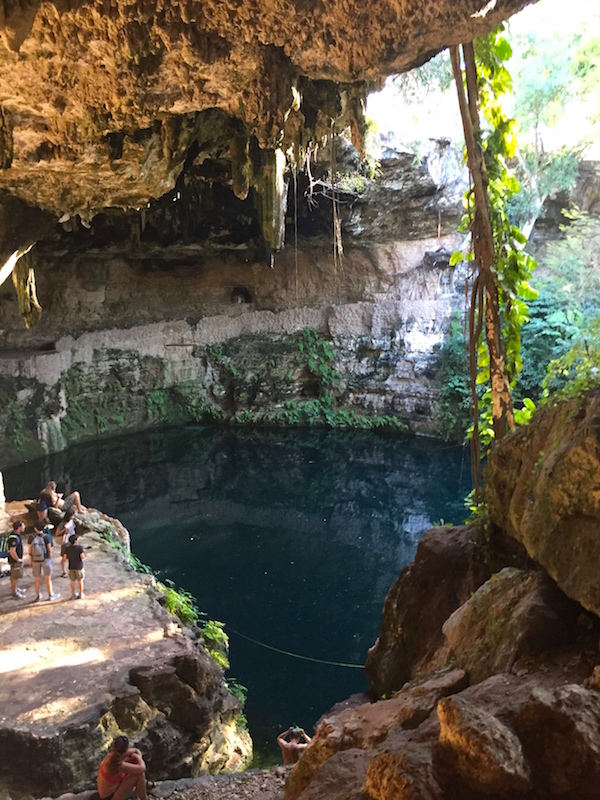 You never know when you'll stumble upon a cenote and want to take a dip. - Have cash on hand or research where the ATMS are, which seem to be lacking outside of the main towns throughout the peninsula. - If roadtripping around, bring a playlist and auxiliary cord for tunes. Definite mood booster on long car rides. 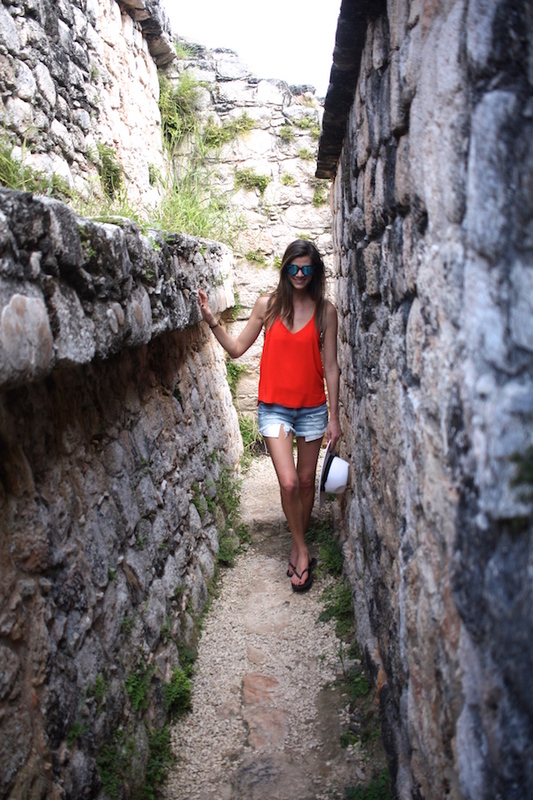 - Show up at the ruins and more popular cenotes early to avoid the crowds. It makes a huge difference in the experience you'll have. Stay tuned to see where we head to next!